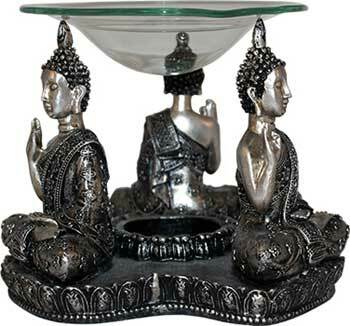 Buddha oil diffuser features 3 seated Buddha facing out eminating compassion and awakened. Use the oil diffuser to scent your favorite space or remove the bowl and light a tea light just as candle holder for meditation or atmosphere. Resin.